La importancia del drenaje transversal en una carretera. ¡Ojo! 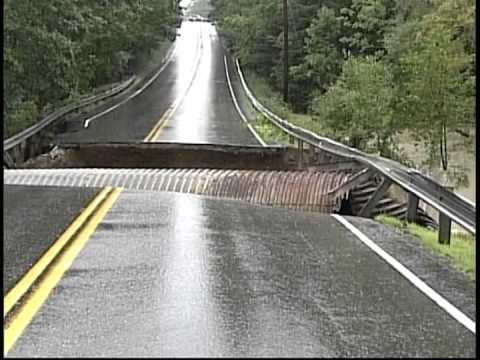 This video, shot by Maine television station WMTW-8, captures a culvert failure and road collapse from an intense spring storm. It's a teaching tool LTAP/TTAP centers utilize.